Available dressed or undressed. 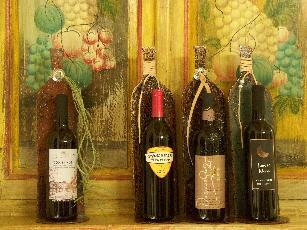 Our dressed metal wine racks are decorated with your choice of a raffia bow or concho. Choose between them for an additional $10 charge. Shown above is a single embellished with a concho and raffia finished in rustina. 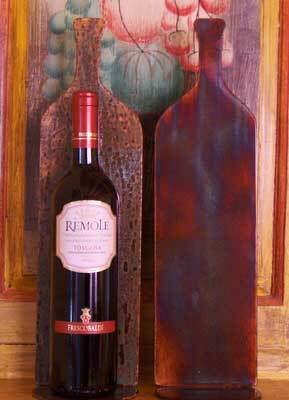 Felt pads are mounted to the bottom of metal wine racks to protect your furniture. Order your decorative wine rack today.